In 1994 I created several illustrations (including the cover) for an issue of Parish Teacher magazine, published by Augsburg Fortress in Minneapolis. The article I illustrated dealt with religious education. 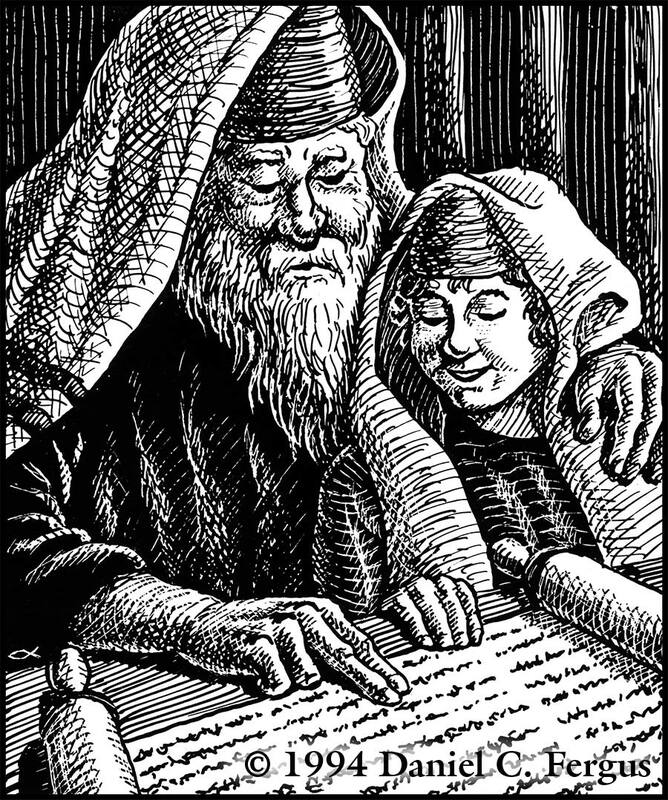 This image depicts a Jewish elder reading the Torah with his grandson.